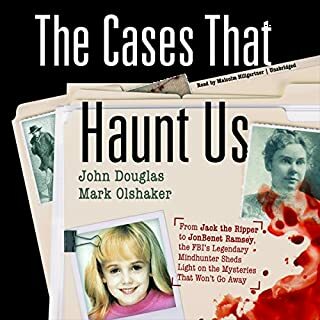 This incredible story shows how John Douglas tracked and participated in the hunt for one of the most notorious serial killers in U.S. history. 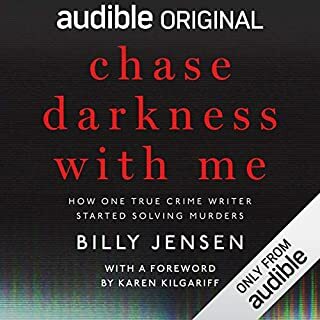 For 31 years, a man who called himself BTK (Bind, Torture, Kill) terrorized the city of Wichita, Kansas, sexually assaulting and strangling a series of women, taunting the police with frequent communications, and bragging about his crimes to local newspapers and TV stations. After disappearing for nine years, he suddenly reappeared, complaining that no one was paying enough attention to him and claiming that he had committed other crimes for which he had not been given credit. 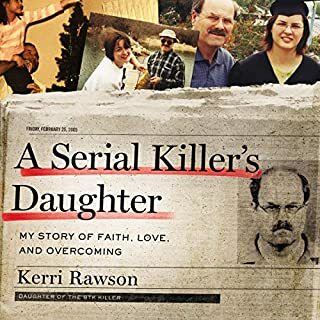 When he was ultimately captured, BTK was shockingly revealed to be Dennis Rader, a 61-year-old married man with two children. 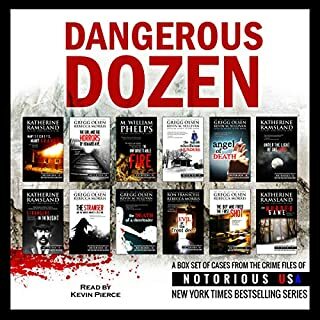 ©2008 John Douglas and Johnny Dodd (P)2009 Audible, Inc. This book is very interesting, unfortunately the narration does it a severe disservice. The narrator's habit of saying "Quanteeco" instead of "Quantico" is like nails on a chalkboard. It's an interesting book. 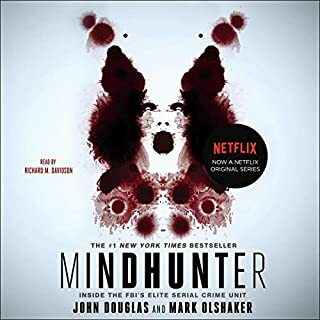 I could have enjoyed it as much as Mindhunter had they not decided to hire the kid in high school who breaks into a cold sweat when the teacher calls on him to read aloud. This Narrator is the worst I've ever heard. His mispronunciation of several words is distracting. I found myself waiting for the cringe and wondering how this guy even got this job. The words he actually can pronounce, he reads in a robotic tone with weird pauses that you will recognize as someone who is barely literate. I would never listen to anything by this narrator again. So choppy I could barely understand. It could somehow just be my audio file/phone, but I've redownloaded the file multiple times and the problem is still there. The beginning of nearly every sentence is cut off so you don't hear part of or the entire first word, so you're left to put together sentences. It is irritating especially because the details of this story are important to follow and it makes it very difficult when you aren't even completely sure about what you are hearing because the word is cut off. First I have to echo the other reviewer who pointed this out: it's crazy how much the narrator says "Quan-tee-coo" and no one corrected him before it went out? Quantico. lol. Part 1 was a little dry, but part 2 was a wild ride from start to finish, very graphic, and pretty traumatizing. A lot of interesting facts I didn't know before. 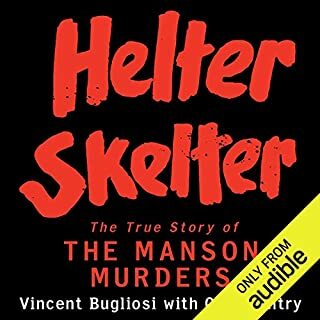 Good listen. If you can get around the weird narrator. Some of it does repeat from previous books. 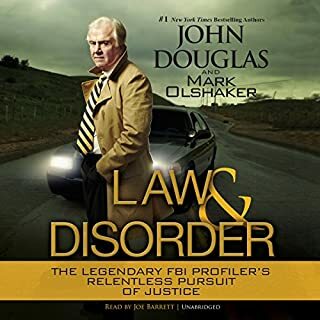 John Douglas' books are consistent and interesting, but the person performing this audiobook is pretty bad. You don't realize how frequently a book about the FBI mentions Quantico until you get a narrator who doesn't know how to pronounce it and calls it Quan-TEE-ko. Kind of painful. This is the worst narrator I've ever heard. There are so many mispronounced words. It's amazing the mistakes weren't corrected - he mispronounces Quantico over and over. Very annoying. It's a fascinating story, but the narrator reads it like he thinks it's unbearably boring. 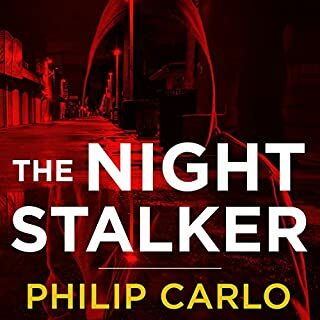 I find the subject matter to be very interesting and I enjoy learning about the inner workings of a criminal's mind; but -- the narrator for this story is getting on my last nerve. How can the narrator not know the proper pronunciation of so many words. Quantico, VA is being pronounced: "kwanteeko"
I could list several more but I'm not sure how to spell them out phonetically to describe it. I'm hoping I can finish the book. 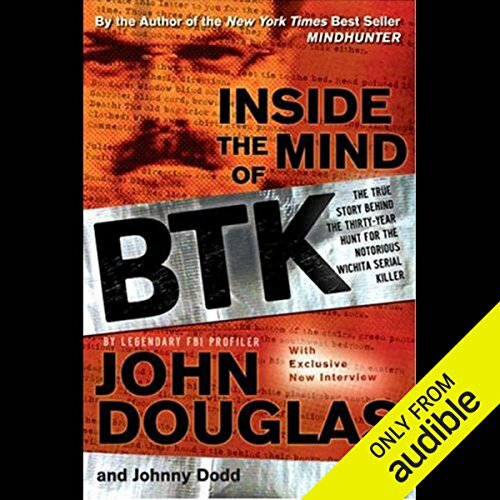 Where does Inside the Mind of BTK rank among all the audiobooks you?? ?ve listened to so far? What was one of the most memorable moments of Inside the Mind of BTK? What didn?? ?t you like about Jason Klav?? ?s performance? Mr. Klav should seek another line of work. He should also give back the money he was paid for this book. 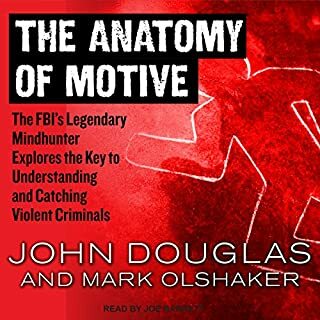 Excellent story--I've read everything by J. Douglas. However, this narrator has such a monotonous delivery, and he mispronounces even only moderately difficult words, suggesting he didn't do his homework first. Increasingly irritating, and I gave up. 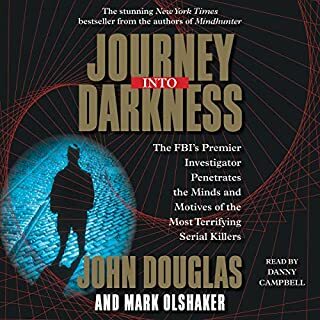 I have always found the books written by John Douglas an interesting look into the behavioral understanding of crime. 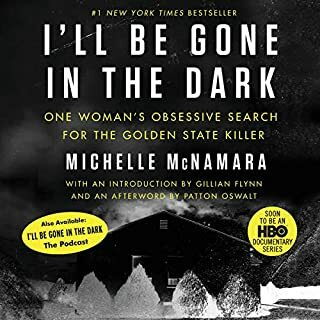 The content of this book was good but I continually had to move past the rote reading and incorrect pronunciations of commonly known words (Quantico pronounced with the accent on the second syllable, library pronounced as libary etc. 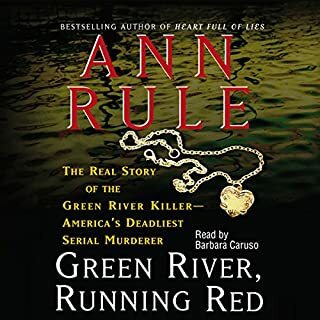 )I have been an audible customer for several years and have hundreds of books in my library. I will not buy another book read by the narrator. This book is very disturbing. I bite off more then I could chew when I decided to listen this. It gave me nightmares to think that someone could be this sick in the head. As for the narrator, He is the worse I've ever heard. He actually made the story boring. 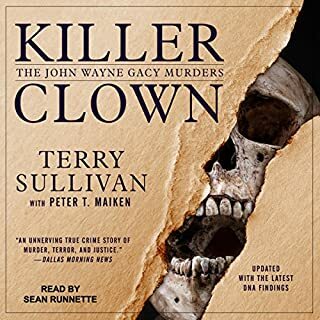 I had to put it down several times because I was so bored with the way Jason Klav seemed to run one boring sentence into the next. I will not ever listen to a book Jason Klav narrates again. This narrator was very distracting with his mispronunciation of words. It is not "modus operandee"; and it is a larynx; not a lairnyx; just to name a few. Simply cannot STAND the "narrator"
I should have heeded other reviewers who warned of this narrator, but I thought that I could suffer through a few butchered words, however moronic the effect. The problem, however, is not merely his tenuous grasp of basic cultural literacy, but that his voice is so monotonous, tedious and just plain... ineffectual...that his butchery of simple language are actually the few moments of slight interest. 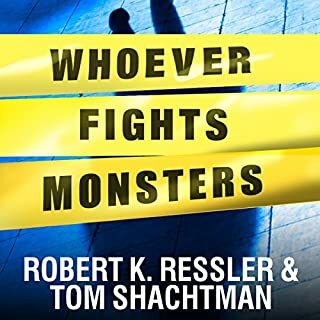 At the risk of sounding cruel, I would be willing to wager that this is no professional narrator at all, but instead a college friend of the author who was in dire need of work. 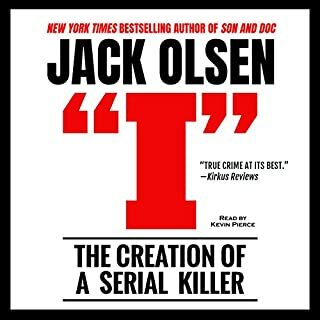 In fact, I see no evidence here on Audible.com that he has ever narrated anything else whatsoever. Sorry, Mr. Klav, but you've wasted my time and money. Kindly leave the narration to professionals who can read. 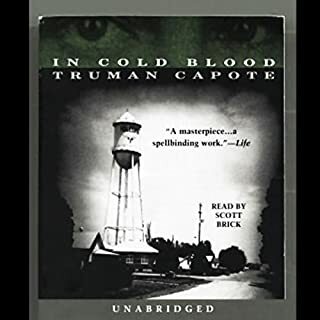 I skipped this a number of times due to the bad reviews here and the unjustified obsession with narrator. Whilst he isn't the best in the world, and does indeed mispronounce a couple of words, he's far from the worst I've heard! I should point out that the narration of the prologue is far worse than the rest of the book for some reason. Irrespective, if you're interested in the subject matter you should find this compelling. I am and I'm only half way through it! Be warned though, this book goes into incredible detail and some of it is a little disturbing in places ... Excellent book though. 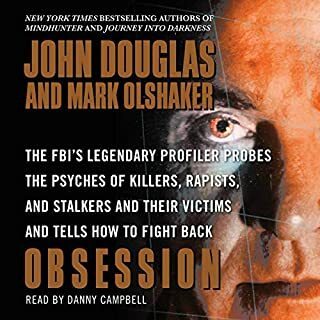 Like all of John Douglas's true crime books, this is a fascinating read. Alas, narrator Jason Klav's personal vocabulary isnt up to the task. Its not just technical terms he mangles, but seemingly any word thats not used in everyday conversation. (Example: demolished building are "razed", pronounced like "raised". Klav's pronunciation is "razzed".) The truly amazing thing is that the producer didnt catch it and make him re-record those sections. 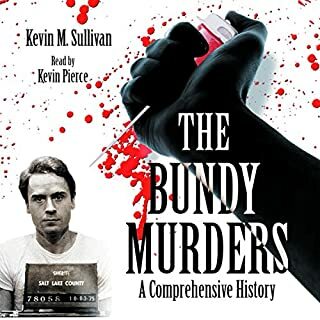 Still I recommend the book.... and that you try to take Klav's numerous bobbles as unintentional comedy, lightening some very dark material.